The newest installment in the Castle Conqueror series that certainly feels more like a spin off rather than a sequel. Castle Conqueror Defender has been developed by Lanan and published by Circle entertainment and overall, collectively, they have done a pretty good job. This game is a tower defense strategy game where players are tasked with defending a hero from hoards of advancing armies. Players will be confronted with 10 stages of attack with 5 waves of enemies in each. 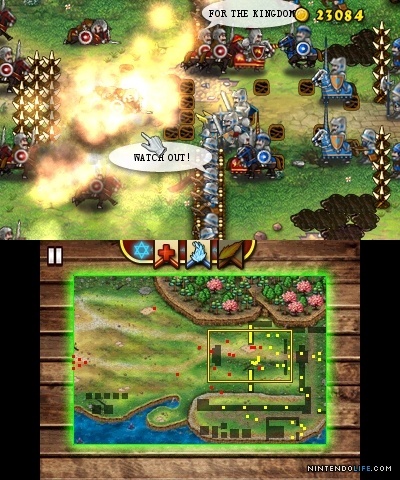 This isn’t a large amount of game play to be honest, even when you take into consideration the two additional rounds that are unlocked once the initial 10 stages are completed, but the beauty of this game lies in playing several times and honing the defense strategy to quell the advancing armies further and further away from the walls of the castle. Similarly to the other installments of Castle Conqueror, Castle Conqueror defender employs cartoon style graphics both in the background and the characters which does help to keep the mood light whilst playing what is in essence, a war game. Couple this with a good soundtrack and the game play becomes fun, very involving and in most cases, really entertaining but don’t be expecting a riveting storyline because, much like most castle defense games, Castle Conqueror Defender doesn’t really deliver on the narrative front. Most of the story is played out in small text boxes which does detract from the experience somewhat, rather than a video, but narrative isn’t the real purpose of castle defense games. The controls are easy to get to grips with and very easy to use but the game could certainly do with making more of an effort to use the lower screen. It does seem that many of the controls in the game that are completed on the top screen would be better suited to the bottom screen. Another fairly marked shortfall is the distinct lack of any 3D visual effects. When a game is developed for the Nintendo 3DS it seems a bit of an oversight and bad decision to not incorporate any 3D effects. A bit of a hat nod to 3D graphics could really launch this game into the next level and drastically improve the gaming experience. Instead, it feels a bit as though the developers have avoided using 3D because it wouldn’t make sense in this game, which may well be correct, but we’ll never know. You advance from level to level very much like other castle defense games by earning money for defeating hoards and armies, purchasing upgraded defenses and weaponry then taking on the next wave of attackers. There is something really quite satisfying in upgrading to the more powerful weapons and honing your skills with multiple plays. 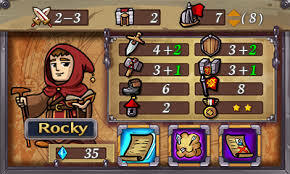 All in all, Castle Conqueror Defense is a good strategic defense game with a good visual appeal and good soundtrack. The game play is pretty smooth and relatively entertaining whilst the story does lack some personality and character. It would make sense to add in some genuine 3D capabilities and potentially expand the number of stages available to battle through, but then there are a whole load of other Castle Conqueror games on the market that take care of these two point pretty conclusively.